sins | The Eye of Faith Vintage 11.11.11. Don Draper Goes Medieval! Is Mad Men Don Draper’s “Inferno”? For the straightforward pathway had been lost. . .
Those were the first words we hear Don Draper speak in the season 6 premier of AMC’s hit show, “Mad Men” which aired last night. 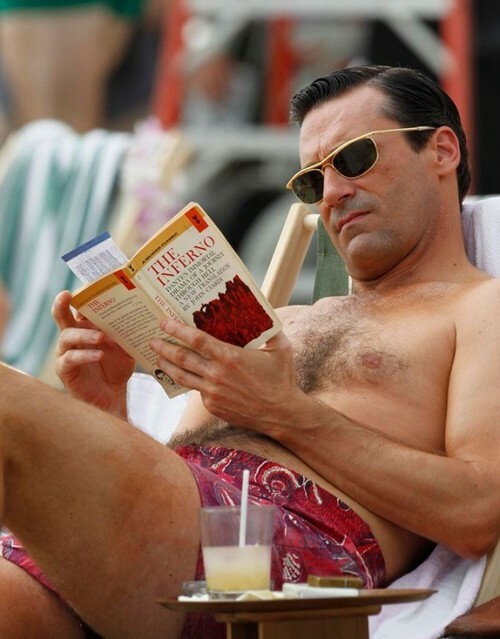 Dante Alighieri’s legendary Medieval poem is not one’s expected choice to be reading on the beaches of Mauii, but for Don Draper it seems to have opened many questions of himself. You could even point out that throughout the series, Don has endured through many of the nine circles of sin described in Dante’s “Inferno” (such as gluttony, lust, and sin), so to capture the man of perceived strength and self confidence bring alongside with him a poem about the author’s personal midlife crisis really speaks volumes. Don, however, doesn’t speak for another 10 minutes into the episode. Dante Alighieri’s “Inferno” is a piece of Dante’s collection of poems known as “The Divine Comedy“. 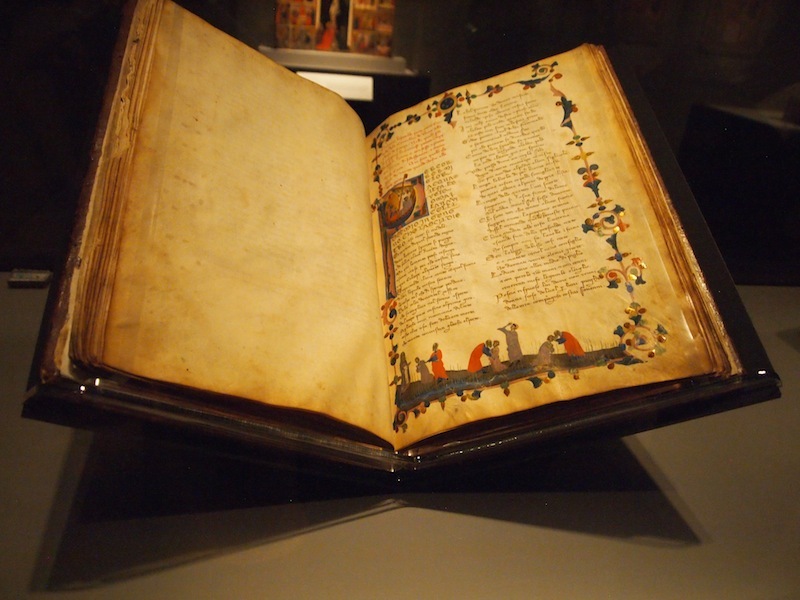 Written between 1308 and his death in 1321, the work is still seen as a pinnacle in literacy for mankind, and is still read today by students and scholars around the world. Split into three parts: Inferno, Purgatoria, and Paradiso; the story tells of the author’s descent into hell before ascending to paradise. And as Don puts it, “Heaven is a little morbid. How do you get to heaven? Something terrible has to happen”. As Dante had Virgil at his side, Don has Sterling; and like Dante’s muse Beatrice, Don seems to have found a new muse in his latest mistress who leant him the copy for his vacation. It’s strange life he is living, but luckily he notes he must stop “doing this”, before he never figures it out. We got a chance to see one of first illustrated copies of Dante Alighieri’s “The Divine Comedy” at the Art Gallery of Ontario’s Revealing the Early Renaissance: Secrets and Stories in Florentine Art, by The Master of the Dominican Effigies between 1325 and 1355. Today, it still one of the most important works written. A season back, or so, Don criticized Universities as a “Medieval” system, in an almost dismissive way, so its interesting to see him now delving into the pinnacle of Medieval philosophy. I guess it’s always good to stay well-rounded. And 800 year old wisdom, is just as good as any. One of the most famous publications of “The Divine Comedy” featured engravings by French artist Gustave Doré, offering fantastical and surreal visuals to compliment Dante’s classic words. We thought them a wonderful showcase to accompany Don Draper and his voyage of self-discovery, and maybe provide a little insight and intrigue into the world of Dante Alighieri. Maybe we will go on one too. Anyone want to join us? Everyone’s got a little figuring out to do. Why not get lost a little on the way.